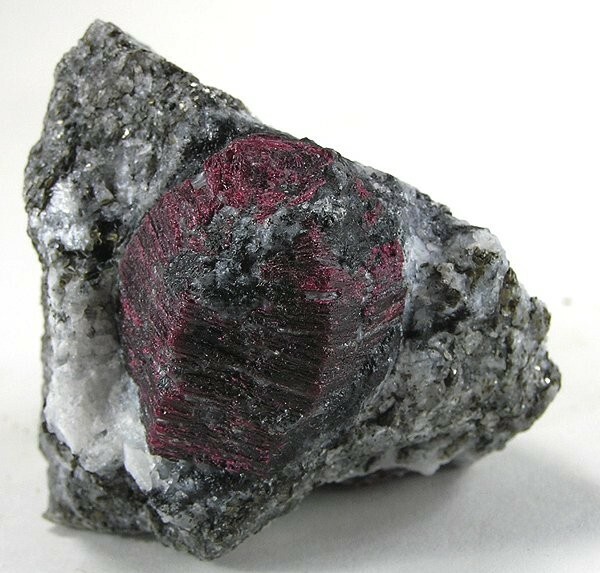 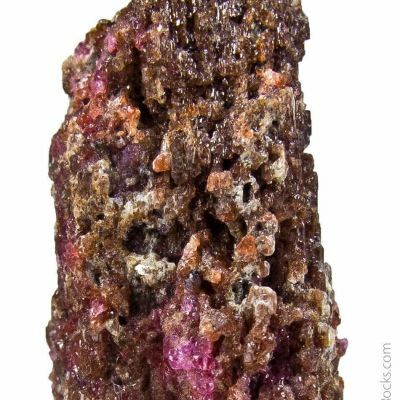 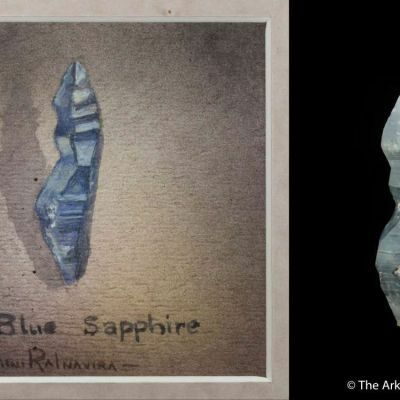 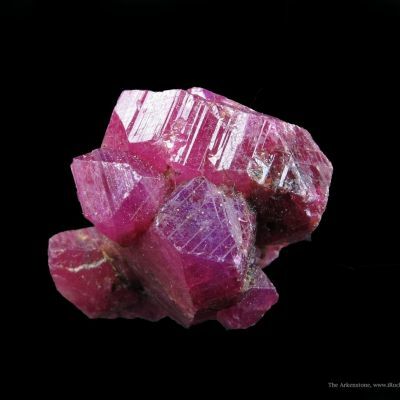 A sharp, complete crystal of ruby (corundum), well-exposed on its granitic matrix, from Tanzania. 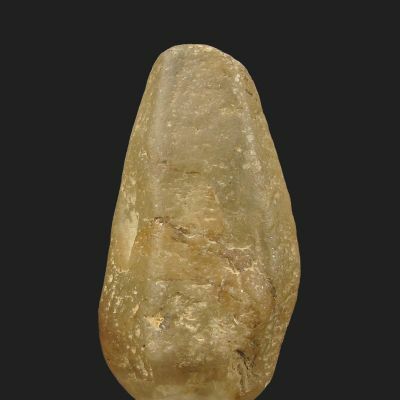 It has a convex barrel shape, and you can clearly see three of its six sharp faces. 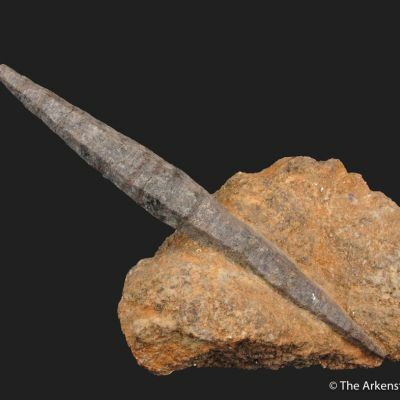 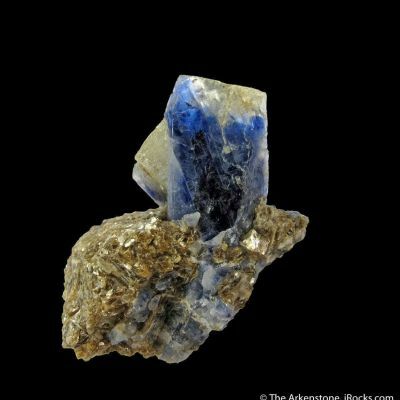 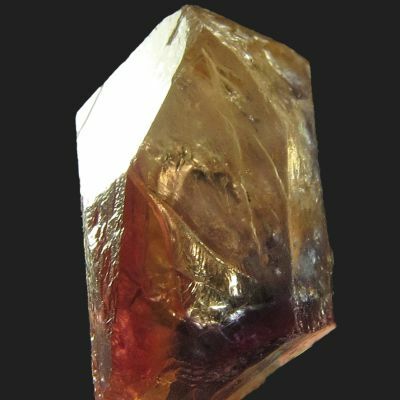 The crystal measures around 2.5 cm in each direction.